orientation to the working class. while working to build a self-managedworking-class movement. not, however, claim to have the final “correct line” or all the answers. 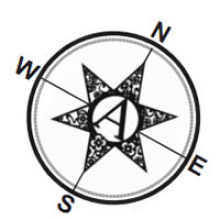 Four Star Anarchist Organization (4*@O) began in 2008, when a group of anarchists decided it was time to recreate an organized anarcho-communist presence in Chicago. Our original basis for unity was the Anarkismo statement, but we have since finalized and established our own guiding Statement of Principles. The name “Four Star” is a reference to the stars on the Chicago flag and indicates our intention to connect to local social struggles. 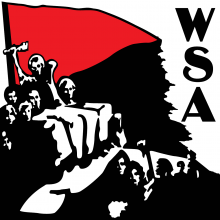 We describe ourselves as an “anarchist organization” because we believe anarchist principles such as mutual aid, direct democracy, and direct action are effective when applied towards organizing and transforming social institutions. 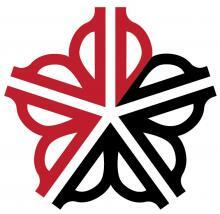 Wild Rose Collective is an anarchist organization based in Iowa City, IA. We are workers, students, parents, organizers and activists in and around this eastern Iowa university town. We are influenced by currents of Anarcho-Syndicalism, Anarchist Communism, and aspects of Marxism. Anarchism, as we understand it, is a political theory based in establishing a society that is free from political, social and economic hierarchies. It will be brought about by the struggle between the vast, diverse working class majority of society and the tiny minority that currently rules. We see this struggle as being waged primarily through social movements, and advocate for anti-oppressive and directly democratic forms of organizing within them. We oppose capitalism, with its drive for profits over the well-being of people and the environment, and the maintaining of social and material inequality as the basis for the capitalists’ profits. We oppose the state, and see no solutions by working within the so-called representative democratic system for social liberation. Rochester Red and Black is an emerging revolutionary organization that aims to turn Anarchism into a political force in Rochester. Check out best ways to make money on the side. Copyright © 2019, A New World In Our Hearts. Proudly powered by WordPress. Materia design by Iceable Themes.